Family Floater Insurance Plan from Bharti AXA General Insurance Ins. Co. Ltd.
Maternity Expenses are covered by Max Bupa, Apollo Munich, ICICI Lombard & Star Health but certain waiting periods are applicable. 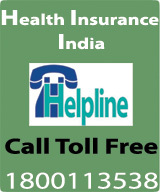 New India launches new mediclaim policy (Mediclaim 2012) with offering higher sum insured upto Rs 8 lakhs for existing and new customers. 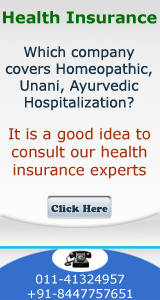 Royal Sundaram General Insurance Co. Ltd.
What are the additional benefits offered? Discount equivalent to 5% of renewal premium every year will be given back to the Insured as Renewal Discount at the time of renewal for every claim-free year. This renewal discount on a progressive scale will be allowed upto 25%. Premium paid under the policy shall be eligible for income tax deduction benefit under Sec. 80 D as per the Income Tax Act. The policy is applicable for persons from the age group of 5 years to 70 years. However, children in the age below the age of 5 years can be covered if any one of the parents are also concurrently covered. The policy can be issued to cover you, your spouse and two dependent children upto the age of 23 years. Medical expenses incurred for treatment undertaken for disease or illness and/or for critical illness within the first 30 days of the inception date of the first policy. Pre-existing diseases/illness/injury/conditions. However, the same would be covered from the 5th year of the policy after four continuous renewals with the company without a break. Dental treatment or surgery of any kind unless requiring hospitalisation. Treatment of cataract, benign prostatic hypertrophy, dilation and curettage, hernia, hydrocele, congenital internal disease and other such treatments during the first year of the operation of the policy. However, this exclusion doesn’t apply for subsequent renewals with the company without a break. Birth control procedure, hormone replacement therapy or any expense related to pregnancy or child birth. Aesthetic treatment, cosmetic surgery and plastic surgery. AIDS and all diseases, illness and injury related to HIV. Vitamins and tonics unless forming part of treatment for disease, illness or injury. Treatment of mental disease/ illness, stress, psychiatric or psychological disorders. War, terrorism and nuclear group of perils.